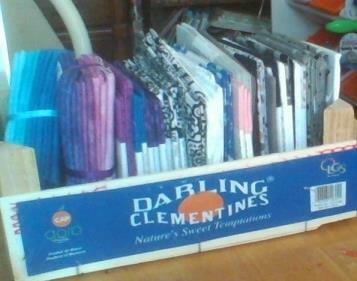 I finally organized my fabrics….. I put them in a empty orange crate…. 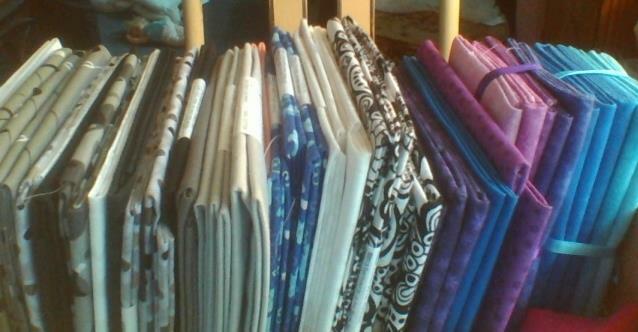 I can see what fabric I have and what I need…. Orange crates are good as shelf as well….